With Serena Williams, Sloane Stephens and Madison Keys leading the charge at the 2015 French Open, the stats say the American women are poised to be a major force in WTA tennis. 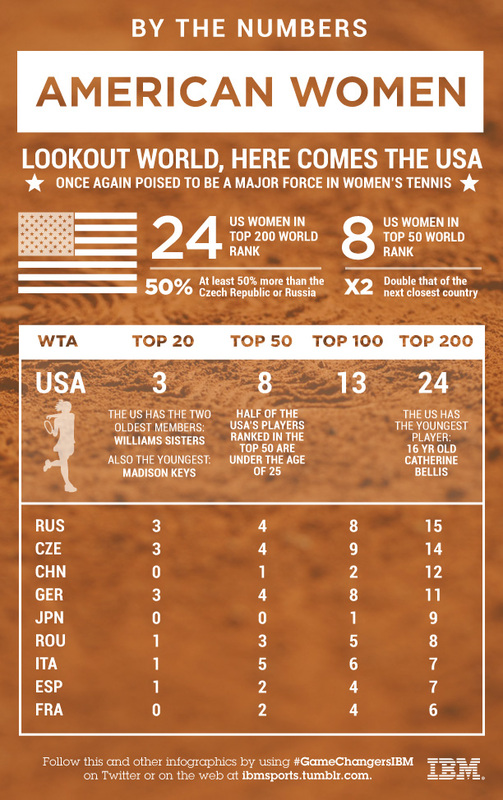 With 17 women beginning the tournament and only Serena Williams, Sloane Stephens and Madison Keys into the next round at the French Open, it may not seem like it, but the stats say that the American women are poised to be a major force in WTA tennis. The U.S. has the oldest and youngest players in the top 20 and eight total women rank in the WTA's top 50.